Laid down circa September 1942 at Brown Shipbuilding Co., Houston, TX. "LCI 339 had dropped anchor about 150 yards from the beach and came in for the unwelcome attention of three VAL bombers and three ZERO fighters approaching on the starboard side. LTJG James Tidball, USNR, her Commanding Officer, ordered fire opened, but the fighters began strafing almost continuously, riddling her with holes from stem to stern and causing considerable damage amongst the troops." 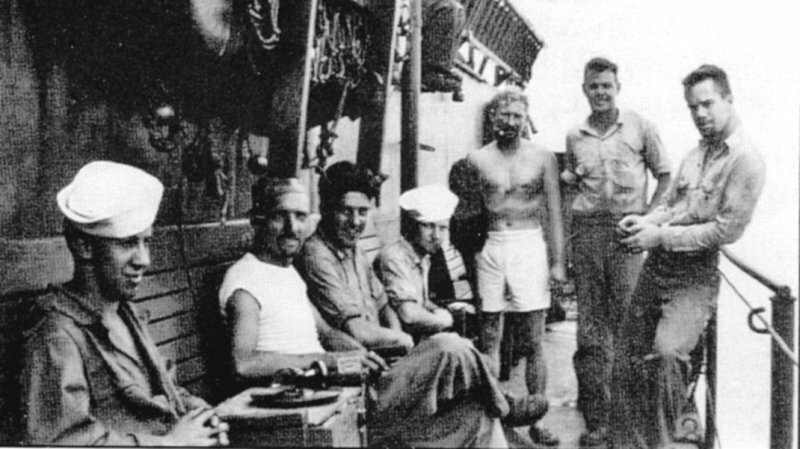 "Dr. Begor was treating the wounded until the bombers released their bombs at about 1,500 feet, bracketing the ship with near misses to port and starboard, but scoring a direct hit just forward of the pilot house, blasting a large hole in the deck. 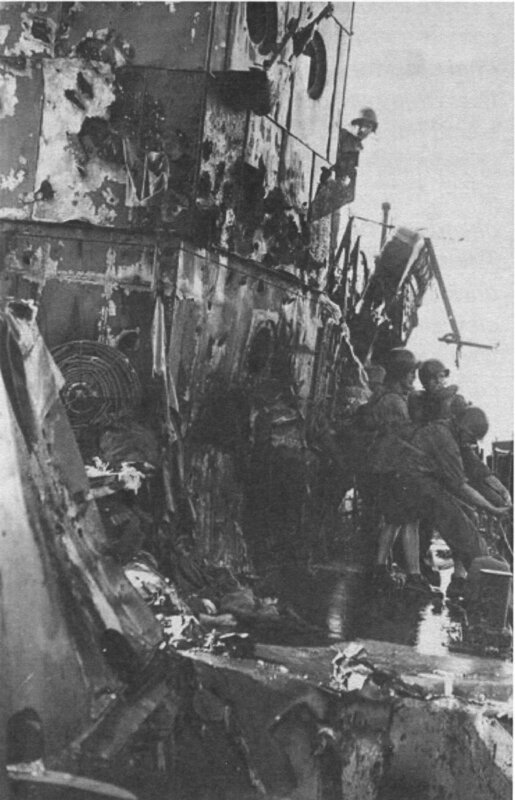 The 339, nonetheless, gained the beach to carry out her mission, though in a sinking condition." 378k The fatally damaged USS LCI(L)-339 after being strafed by Japanese Zeros and bombed by Betty and Val bombers on 4 September 1943 during the Lae, New Guinea landings. LCI(L)-339 was bracketed by 200 lb bombs, one on the starboard side, one on the port side, and a direct hit forward of the pilot house.